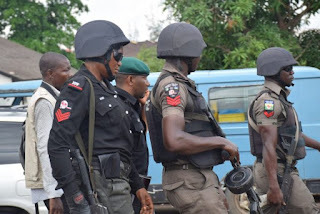 Operatives of the Niger State Police Command have arrested a 16-year-old man, identified as Idrisu Muhammad, over the alleged murder of his Ex-lover, Fatimah Isah. Reports stated that the crime was committed in Evutagi village, Katcha Local Government Area of Niger State. It was made known to Newstoday that the suspect had earlier threatened to kill the victim if she did not gets married to him. This was reported to the police, about three years ago, by the father of the victim (undisclosed). While confessing to committing, the suspect stated that his reason for murdering his Ex-lover was because she was dating his elder brother. I told my brother to leave Fatimah for me because I planned on marrying her but he would not listen to me and he kept on seeing her until one day I lost my temper and killed her, look at what it has resulted to, I am now a murderer and am going to spend all my life in jail from the age of 16. The Police Command spokesperson, Mohammad Abubakar while confirming the incident revealed that the suspect confessed to killing the victim with a cutlass. Abubakar added that the suspect would be arraigned in court, upon completion of the investigation.